Auto Meter Dual Gauge Pillar Pods optimally position dual gauges within the driver's view. 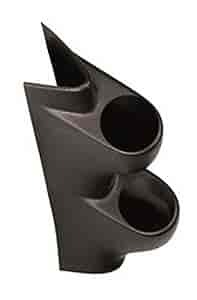 Dual gauge pillar pods offer a professional fit and finish and attach to the factory A-pillar for an easy installation. Each pod is made of high-quality composite construction that is black textured and can be painted to match. Does Auto Meter 20662 fit your vehicle?